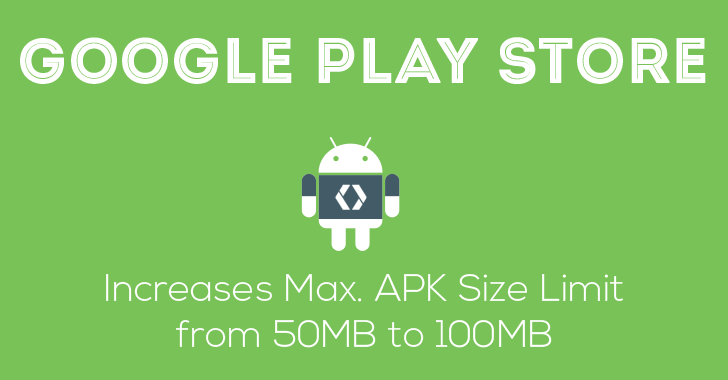 However, Expansion Files are still there to help developers build apps that exceed the 100MB barrier, but the aim to increase the base limit of the APKs is to help users download and install complete larger apps in one shot. As Google noted, "Even though you can make your app bigger, it doesn’t always mean you should." Mobile Data Connectivity – Users from countries with slow Internet connections, are not likely to download applications that will take a long time to install. Mobile Data Caps – Many users are very careful about using up their mobile data on downloading just one app due to mobile data limitations. App Performance – Larger apps could result in lower performance, especially in older Android devices. Install time – Many users give up in installing an app if it takes too long to download and install. The increased size limit applies to APKs developed for Android 4.0 Ice Cream Sandwich and above. App developers can find out more here.